Europe, 1945: cities reduced to rubble, millions of people displaced, and landscapes colored with the rusted shells of destroyed tanks and weaponry, reminding everyone that events which shaped history happened only yesterday. 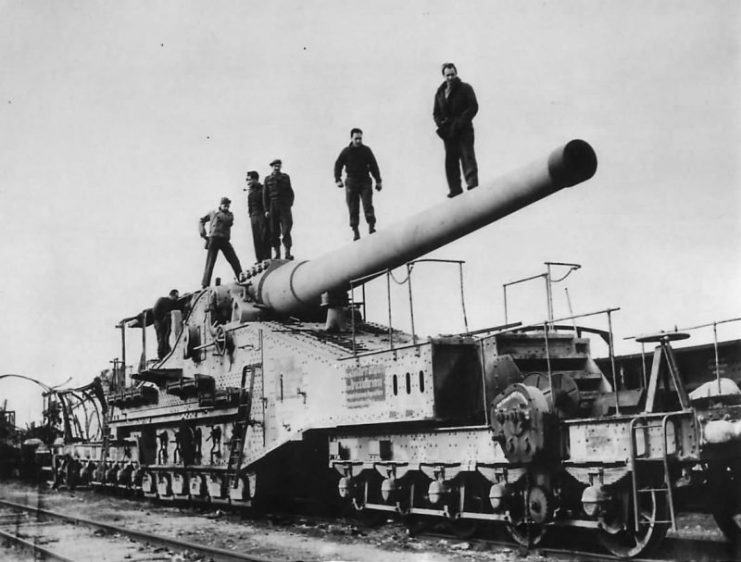 However, while the war machines which suffered on the field of battle piled up to hundreds of thousands, the front was never smothered in abandoned hardware. After the war, the number of wrecks left in the field was far lower than one would expect. There are several reasons that explain why this was the case, and all of them are related to scavenging war material. 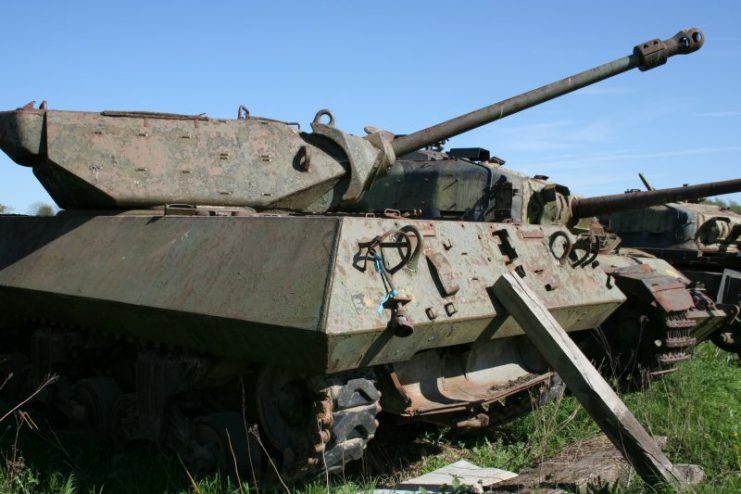 Armies wanted to re-use as much of a destroyed vehicle as possible. 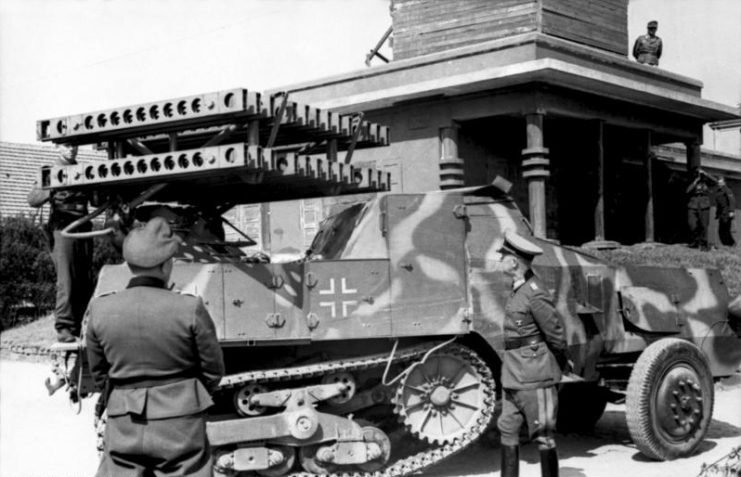 The Germans had developed a system early on of pressing enemy weaponry into service after capturing it. 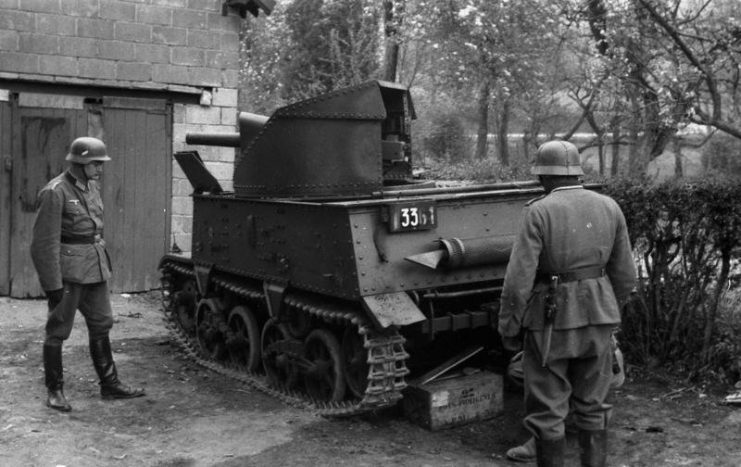 During the Battle of France and the subsequent evacuation at Dunkirk, the joint British and French forces left behind numerous vehicles, tanks, and artillery ― all of which were put into service and given new classifications by the Reich. 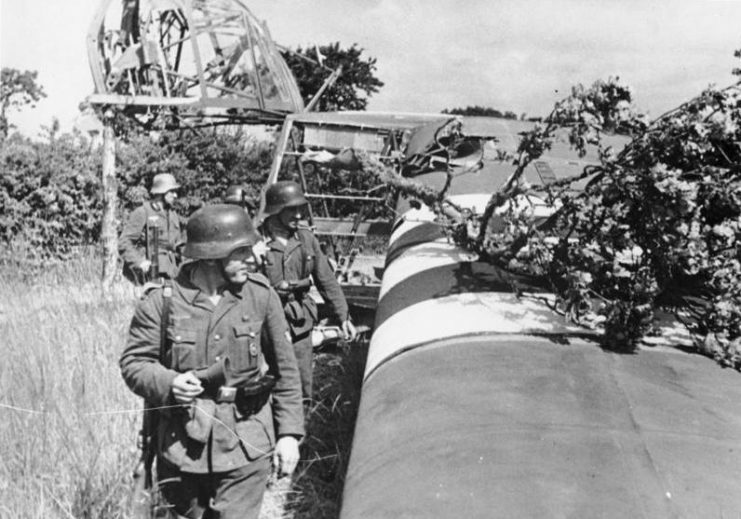 Just outside Paris, in the former Hotchkiss factory, Becker set up his workshop/office in order to catalog, collect, and modify all captured Allied weapons. 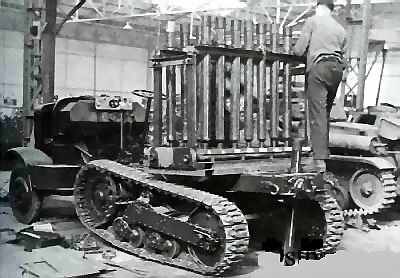 SOMUA MCL being modified to carry 20 tubes of 81mm French Brandt mortars set on two tiers. Within the Soviet and American forces, there were units so skilled in scavenging equipment that they were even able to operate while the battle was still raging. As bullets flew around them, they would tow destroyed vehicles for spare parts or even dismantle damaged equipment on the spot. 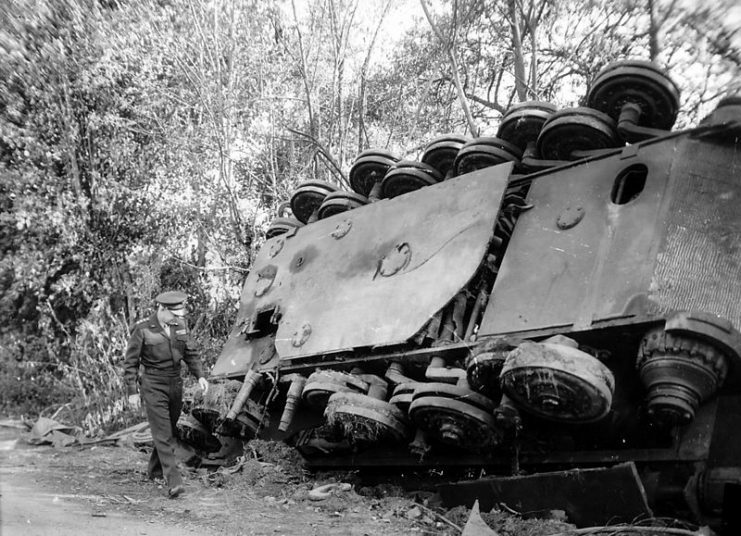 Gen. Dwight D. Eisenhower, supreme commander of the Allied expeditionary forces, inspects an overturned German Tiger II tank left by a roadside in France by the retreating enemy. After the landing in Normandy, Allied units with specialized vehicles had perfected the craft of clearing out huge battlefields to prevent roads clogging up and ensure that the logistics chain could function efficiently. They established a pattern by which tanks and other vehicles, together with artillery, were moved to assembly points, designated as safe zones which were clear of mines and enemy activity. U.S. 7th Army Troops, 3rd Armored Division with captured 27,4cm K(E) 592(f). 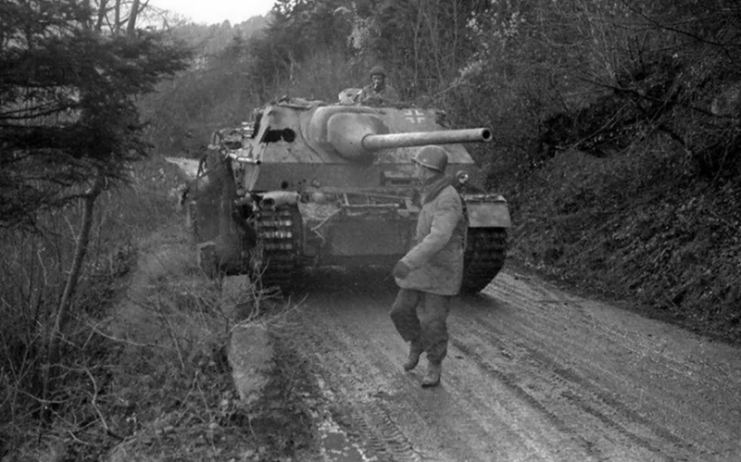 March 1945, near Cologne. 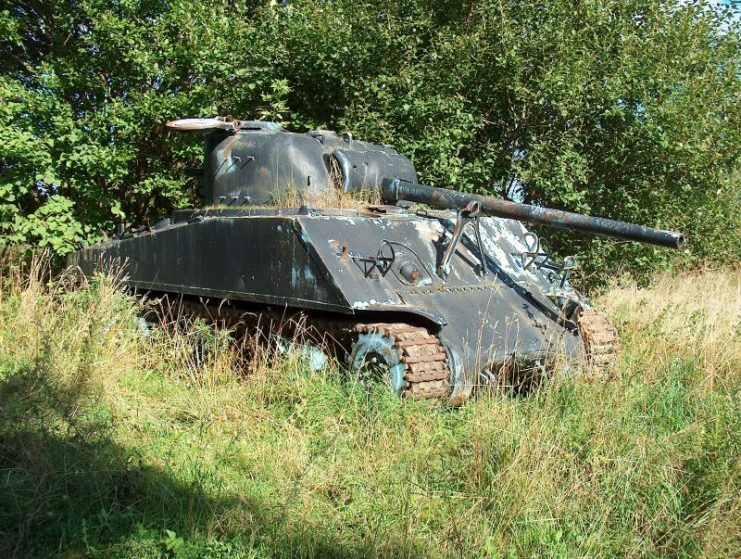 M10 Achilles IIC on tank cemetery. 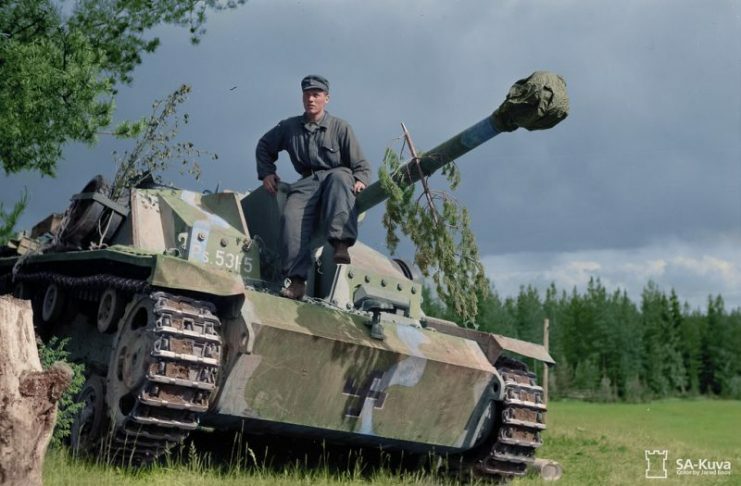 Panzer IV:70 (A) captured near Rudlin, 1944. 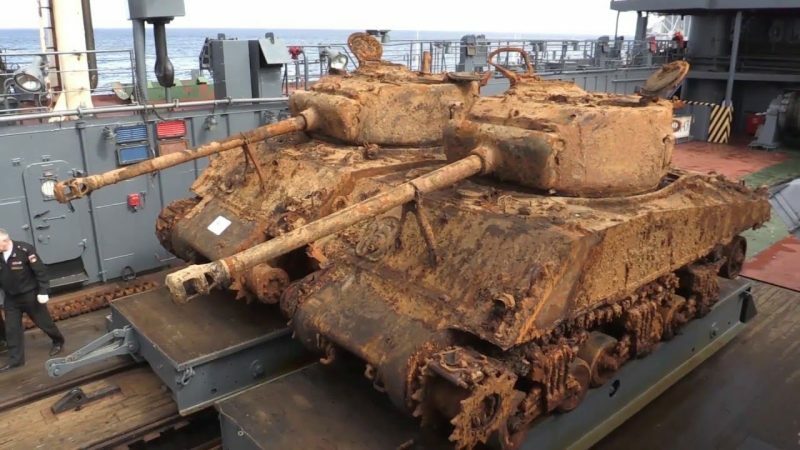 Rusty old WW II and Cold War Sherman tank.